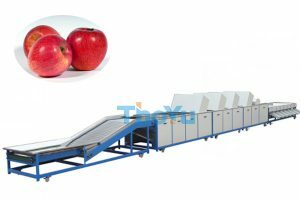 Onion grading machine is used for sorting and grading the round and elliptical shape fruits and vegetables, such as apple, pear, onion, tomato, potato, orange etc.. 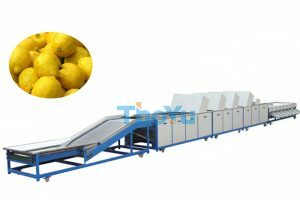 The onion sorting machine is use the gap between rollers from small to large to realize sorting potatoes and other products. The onion grading machine adopts straight stainless steel rollers, so it will not damage potatoes and other products. 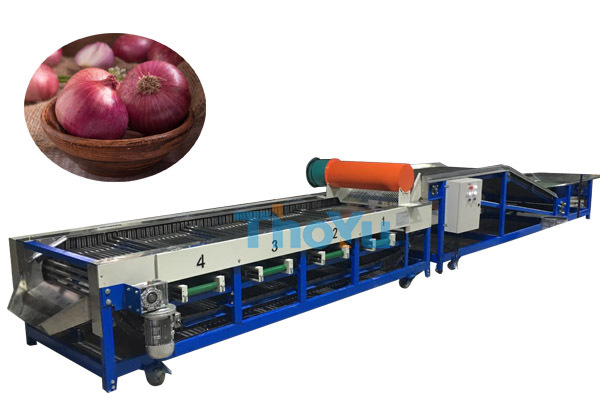 This onion sorting machine can sort onion into six levels, the sorting bore diameter can be customized according to clients needs. The machine adopts polish finished, so it’s very durable, with high quality and long service life, reach hygienic standard.This sub-sorter device structure is simple, compact and rugged, handsome in appearance, lightweight and durable. 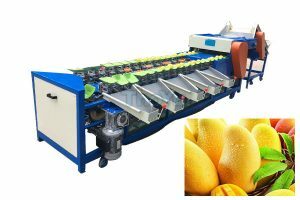 Simple operation, and low power consumption, low noise, no harm to the fruit, easy maintenance. Widely used in fruit orchards, fruit company, fruit and vegetable production base, as well as fruit and vegetable cooperatives.